Things just went from bad to horrific for Trump hating hoaxed Jussie Smollet. Smollet is a close family friend of Maxine Waters who must be taking the news hard. Maxine first defended Jussie but has been very silent since as Jussie’s house of cards crashed down. Smollett was originally charged with one felony count of disorderly conduct for filing a false police report by the Cook County State’s Attorney’s Office on Feb. 20. The grand jury returned two separate sets of charges. The first set are related to what Smollett told officers about the alleged attack, including that the attackers called him racial and homophobic slurs, struck him with their hands, put a noose around his neck, and poured some sort of chemical substance on him. But the investigation turned on Smollett. He’s now accused of allegedly orchestrating the attack with the Osundairo brothers, who he knew. One brother was an extra on “Empire” and the other was Smollett’s personal trainer. 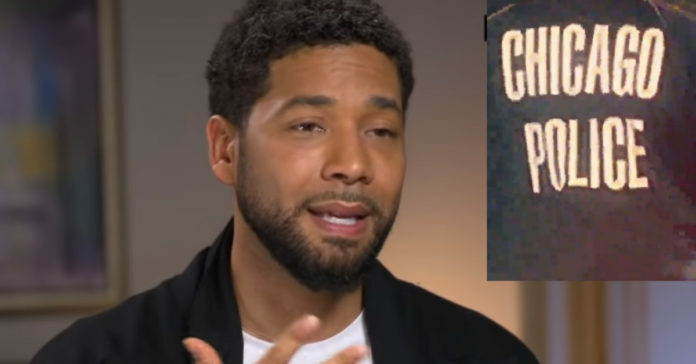 Smollett had also reported a threatening letter sent to him on the “Empire” set containing a white powder, a week before the alleged attack. The letter is currently in the FBI crime lab for analysis, sources said, and experts believe Smollett could face federal charges for allegedly sending the letter.